Fresh and Fruity Raspberry Gin Liqueur. Handcrafted in the west country. Handcrafted - Made by hands not machines. Every bottle is handcrafted with care by a family business in the West Country. 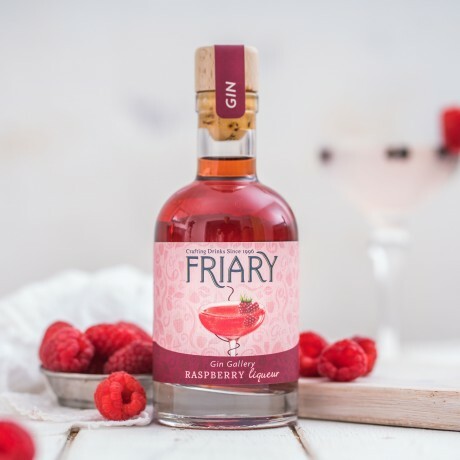 Our Raspberry Liqueur is soaked in alcohol for several weeks to increase the depth of flavour, colour and to intensify the aroma of the fruit. Infused with a dry Gin, crafted with traditional methods, using top quality botanicals. Add handful of raspberries to 1 part Honey, 2 Parts Raspberry gin, a sqeeze of lime juice and a dash of soda water. Shake and pour over ice. Delicious. Our Raspberry Gin contains alcohol. By purchasing this product, you confirm that you are 18 years of age or over. This item will need to be signed for upon delivery. Please send to an address where someone will be in or leave a note with a safe or secure location where the courrier can leave your order.